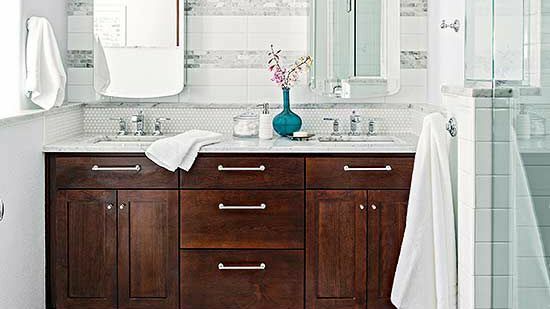 Even a small bath can store more with smart storage solutions like these. 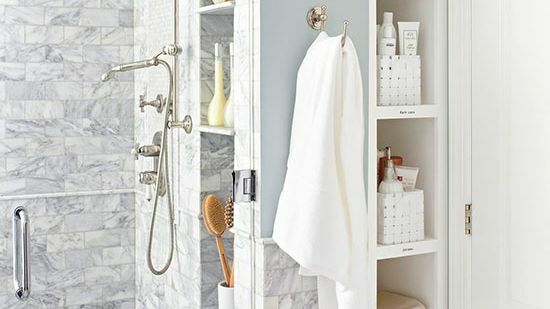 A recessed tile-lined niche in the bathroom shower provides storage that doesn't get in your way but is easy to reach. 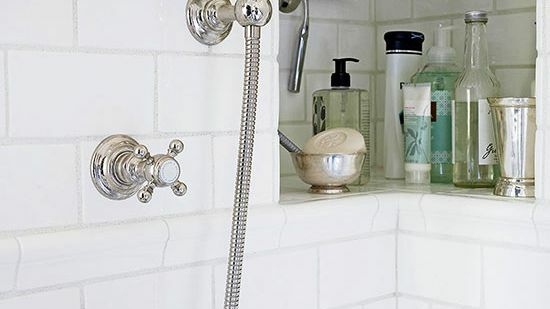 This shower niche wraps around a corner for a bit of extra room for shampoos, soaps, a razor, and other necessities. 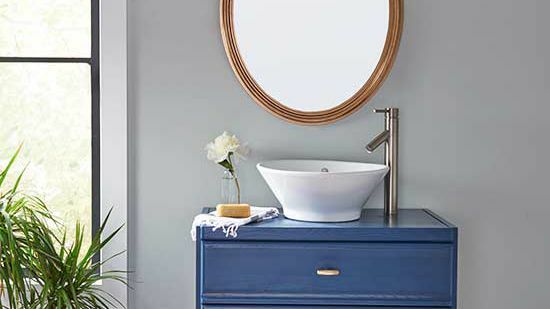 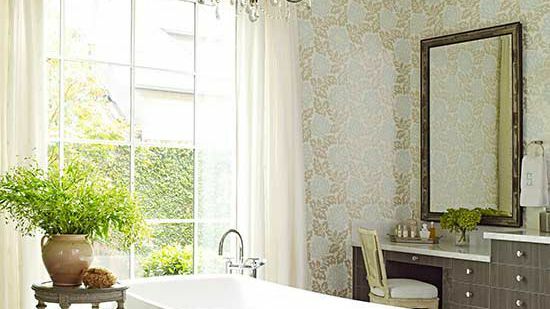 Before you start your next project, download our Bathroom Planning Guide -- instantly! 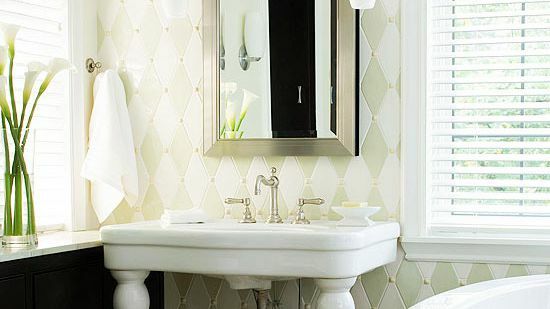 Get tips from the pros and more! 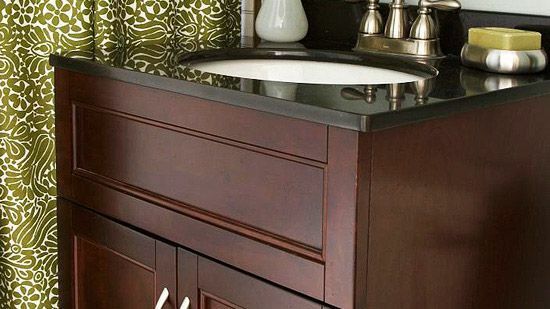 Equip your vanity cabinet with slide-out tiered shelves and you'll never dig around blindly again. 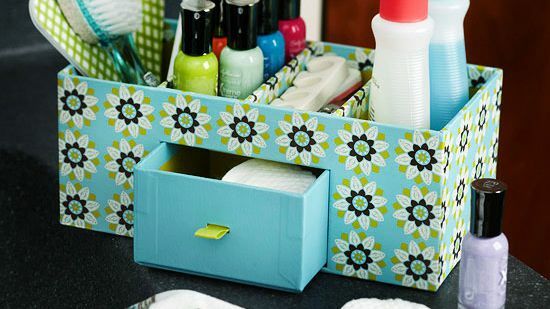 Line the trays with rubber shelf liner cut to size for a pretty finish. 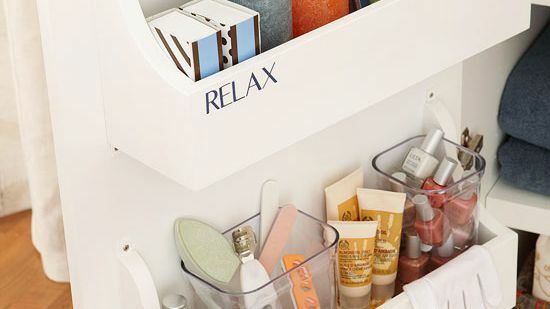 Caddies and acrylic boxes keep small items sorted. 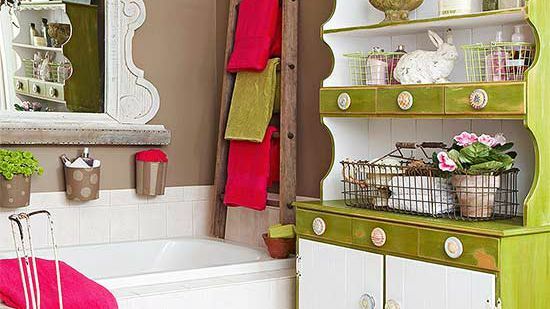 A simple hook and hanger keep a small tote upright and within reach. 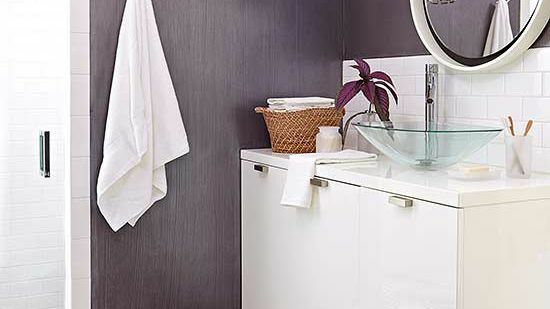 Why store towels in a hallway linen closet when you can keep them less than an arm's reach away? 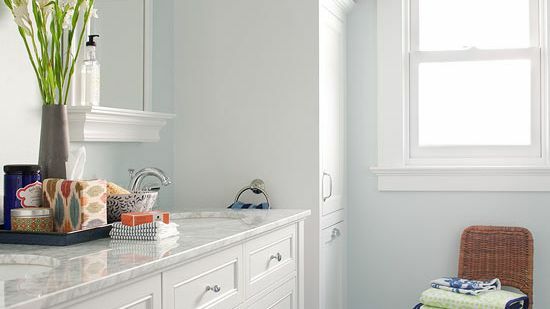 This built-in shelving unit extends from the tub deck to the ceiling for storing towels and toiletries so bathers can easily grab one and step out. 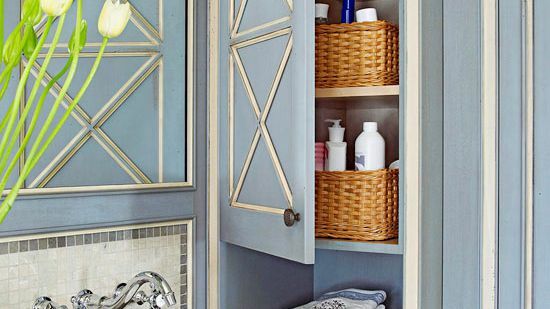 Baskets on the lower shelf keep clutter out of sight. 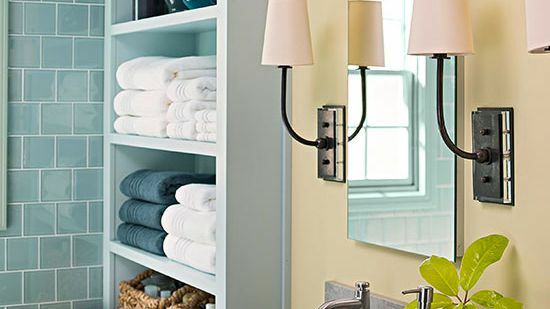 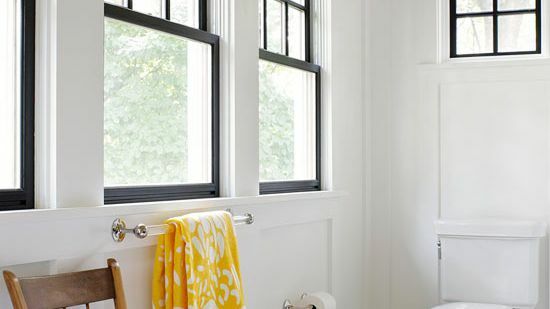 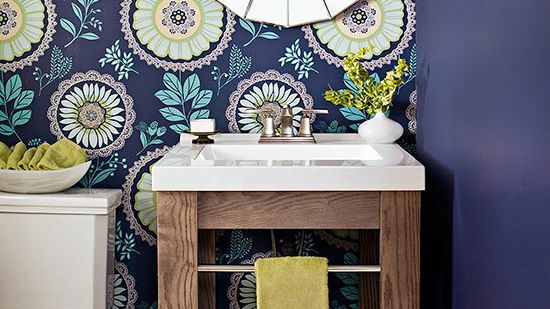 Get tips for smart storage in a small bathroom. 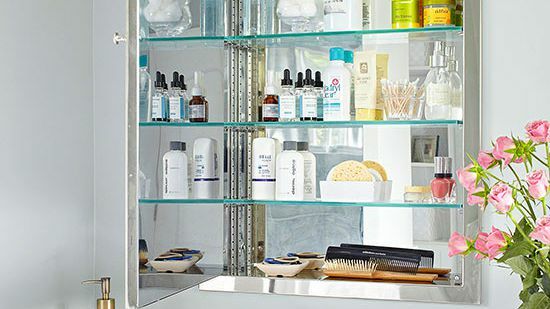 A recessed, mirrored medicine cabinet remains a sensible storage solution, placing daily needs right in front of you. 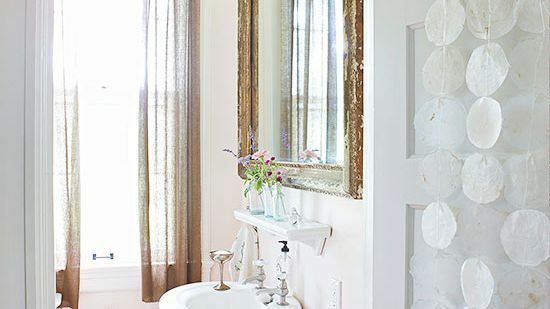 Opening the door to this cabinet reveals a pretty mirrored interior with glass shelves -- the mirrors reflect light and brighten the inside so it’s easier to see the contents. 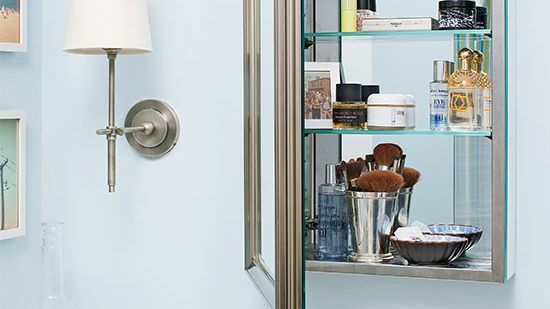 If you have the space, a freestanding cabinet -- or two -- is your best stand-in for a linen closet. 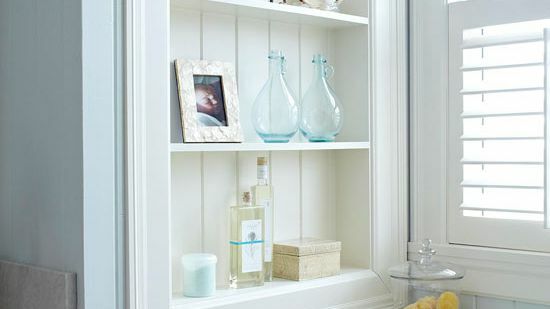 Save money by looking for unfinished cabinetry at home centers, or snag a great piece at a yard sale. 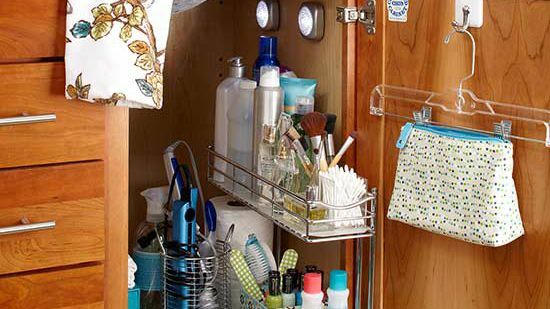 Keep everything neat and tidy within the cabinet by storing elements in separate bins, baskets, or containers. 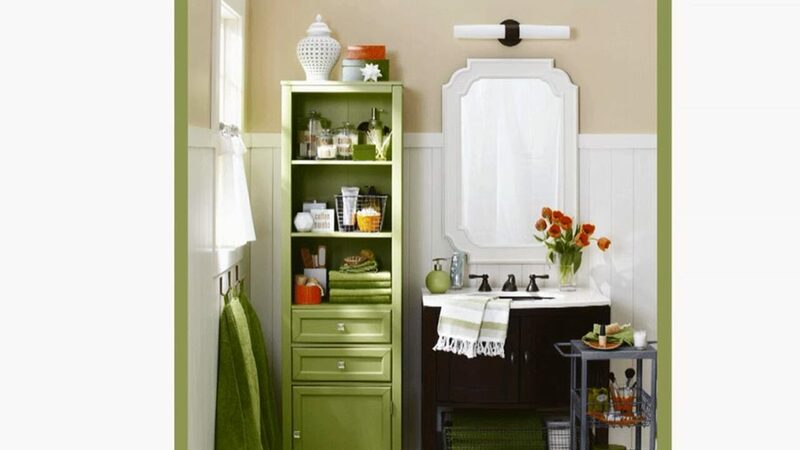 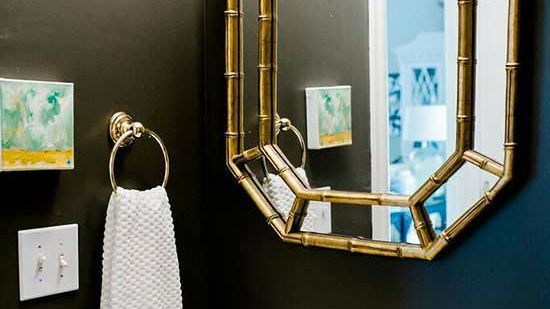 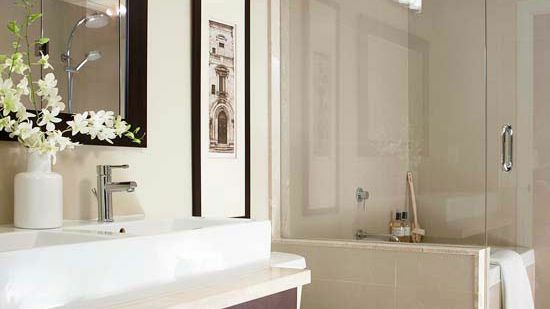 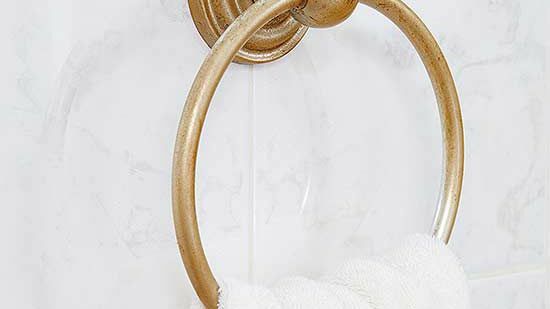 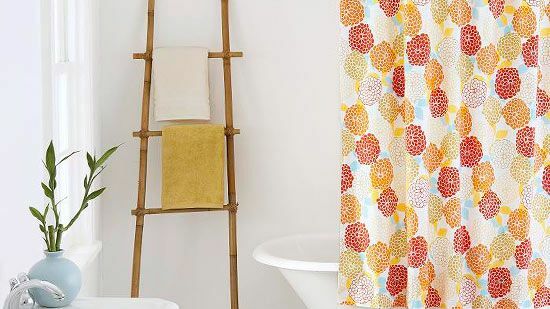 Create more storage by maximizing your bathroom's wall space. 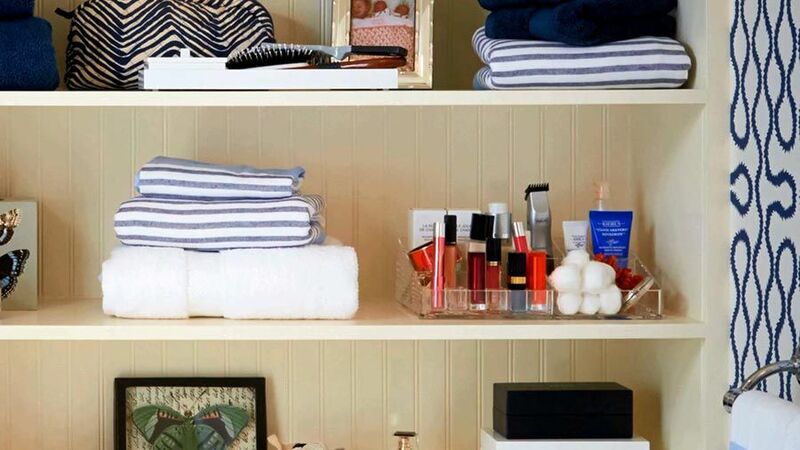 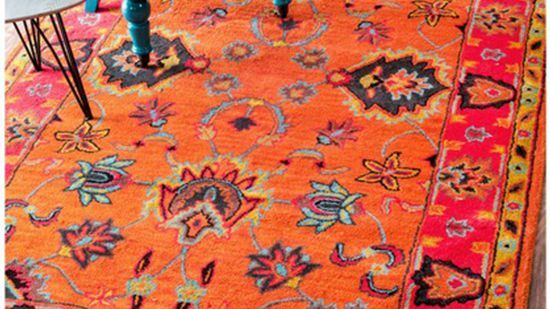 Take our Storage Quiz and discover the best ways to get organized for your personality. 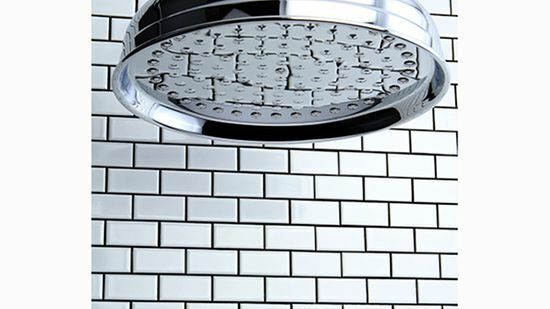 Get new solutions! 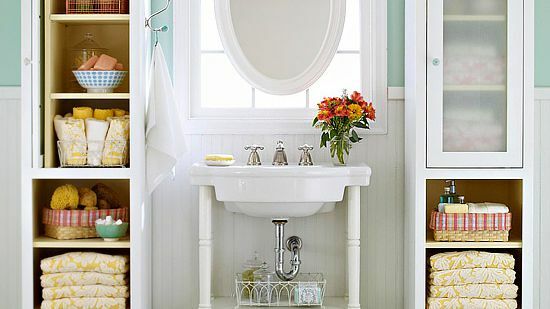 Keep soiled towels and clothing off the bathroom floor with a hidden spot for laundry. 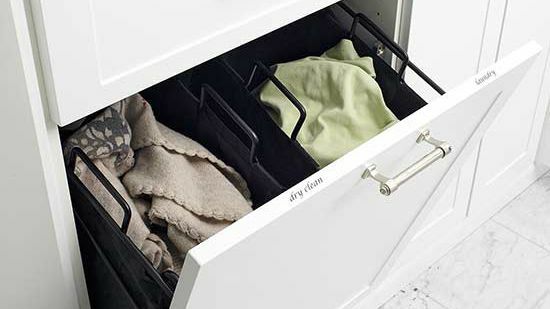 This cabinet door tilts out to reveal two hampers -- one labeled for laundry and another for dry cleaning. 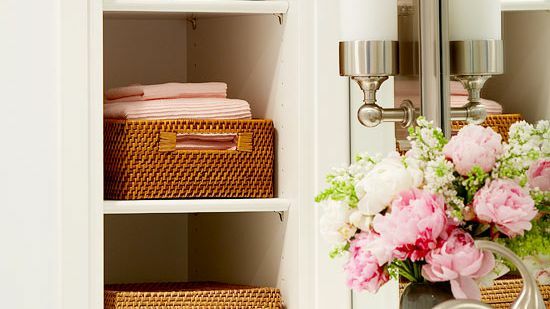 Handles on each hamper make transporting them a breeze. 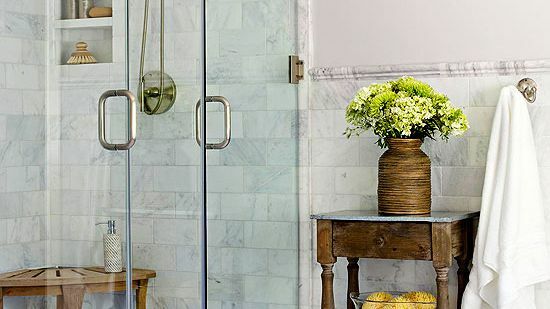 Strategically located in a bathroom, a wooden chair offers a simple, warm welcome and a place to sit, as well as a spot for resting a small stack of towels. 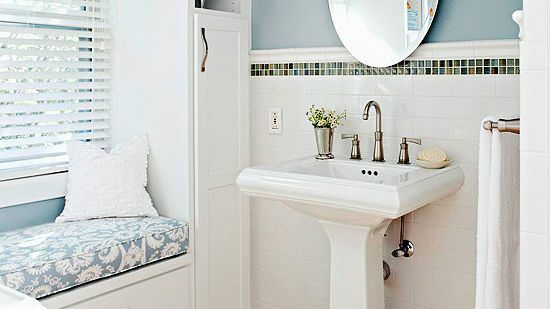 Position the chair near the bathtub or shower so the towels are within arm's reach.